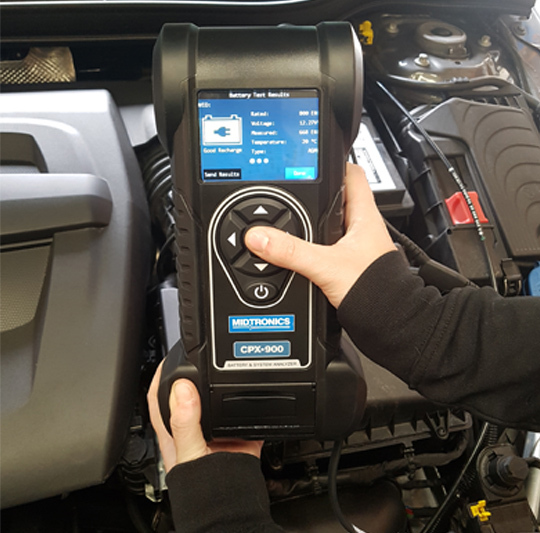 With the current confusion regarding EFB batteries and the equipment required in the workshop to best service your customers’ vehicles, PMM speaks to Rotronics to understand more about the technology involved. Why do we need to have EFB batteries? How do EFB batteries differ from standard batteries? An EFB battery will have a significantly increased cyclic durability – by as much as 100% or more. This means that it will charge and discharge much more efficiently, and the battery will be able to sustain that performance for up to 100% longer. Ken continued, “It is a new technology, but there is nothing new about how we charge EFBs, as an EFB battery is still a wet-flooded battery. But there is a big difference in terms of the testing technology required to look after EFB batteries, as many will test inaccurately if they are being tested with a non-EFB specific tester. These testers can deliver a misdiagnosis due to over-reading the batteries’ measured CCA value. Midtronics claims to be the only company to provide an EFB-specific range which has the testing capability of products that have defined algorithms to test individual EFB battery types. The company claims that the CTEK charging range is a perfect complement to maintaining EFB batteries. The CPX900, the Conductance Profiling Battery and System Analyser, services modern vehicle and battery technology with reserve capacity problems. The MDX655P stop-start Battery and electrical system analyser incorporates all the key features and benefits of the MDX655P platform, with the addition of specific test routines supporting EFB batteries. 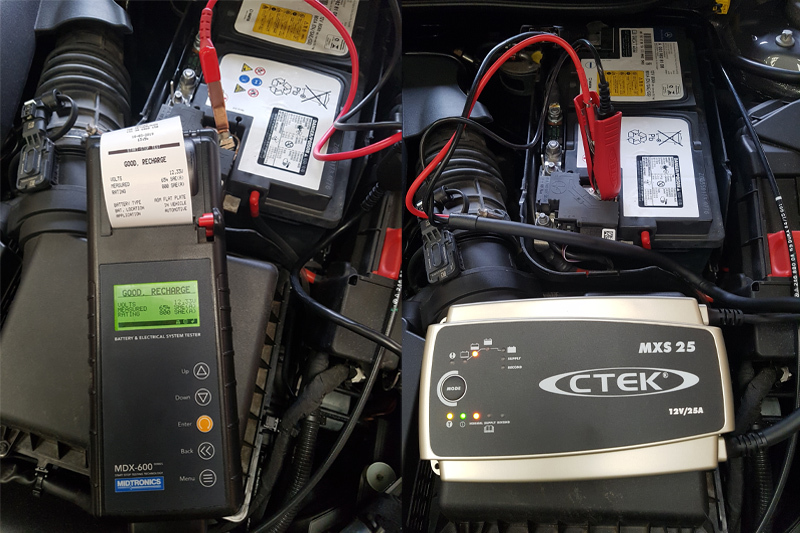 The MDX500 Series is the first tester at entry level that allows your workshop to service and test all 12V starter and stop-start vehicle batteries, including EFB and AGM, with a personalised test result printout. With batteries not being all the same, the same also applies to battery testers. The Midtronics testing platforms are designed to support the accurate testing of EFB batteries.